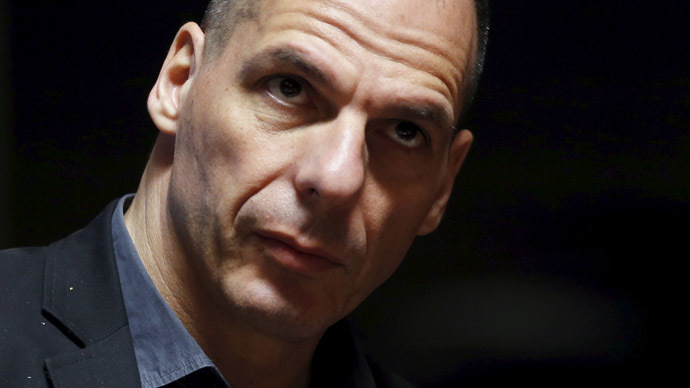 Switzerland is providing only limited information about rich tax evaders who have stashed about €80 billion from cash-strapped Greece, Finance Minister Yanis Varoufakis said in an interview with Swiss state broadcaster SRF. “Sometimes we know that someone has taken money away from Greece. But we do not know in what city or which bank it is located in Switzerland. We know too little to be able to locate the black money,”Varoufakistoldthe Rundschau program on SRF on Wednesday. It is impossible to obtain the information from Swiss authorities, he added. Athens is working on a plan to give tax evaders the opportunity to voluntarily disclose themselves, and make them invest in Greek economy. The evaders would pay a 22 percent penalty in such a case. “It’s never easy finding a middle ground,” said Varoufakis, adding that if the penalty is too low, justice won’t be done. If it is higher, the plan wouldn’t work. Varoufakis hasn’t detailed the exact sum hidden away in Swiss banks, saying it’s like “an archeological dig, before you dig you do not know what you will find.” Experts estimate the sum at about €80 billion. Swiss authorities deny the accusation, saying proposals have been made to Athens and they are willing to make “better use of existing laws” to help the country facing default. Greece and its creditors have been unable to reach a deal in talks over its €240 billion debt since the end of January when Syriza came to power in Greece. Fears of Greece defaulting are causing a bank run as Greeks rapidly withdraw cash. Swiss banking secrecy started in 1934, when the Federal Act on Banks and Savings Banks was introduced. Article 47 of the Act made it a criminal offence for banks to disclose their clients’ identities. The country has been trying to make its banking more open. In May, Switzerland signed an agreement with the European Union for the automatic exchange of information on the accounts of its citizens. From 2018 the EU will regularly receive the names, addresses, tax identification numbers and dates of birth of their people with accounts in Switzerland, as well as the balance of their accounts.This new agreement is a serious blow to those who hide undeclared income to evade taxes at home in Swiss banks.